The Hyundai Elantra is a small sedan that is designed to appeal to budget-minded drivers. Despite the Elantra’s affordable price tag, it still offers a variety of high-tech features. Situated in one of the most competitive segments on the car market, the 2015 Elantra’s direct competition includes the Ford Focus, Mazda 3, Toyota Corolla, Honda Civic, Nissan Sentra, Dodge Dart, and Chevy Cruze. Drivers who are seeking an affordable daily-driver should definitely give the Elantra some serious consideration. With a starting price of around $17,200, the 2015 Elantra is one of the most outstanding values in its class. Although the upper trim levels cost a tad bit more money, most people will still find the total cost to be very reasonable. The top-of-the-line Sport model tops out at just over $24,000. With a total output of 145 horsepower, the Elantra’s base engine proves to be more powerful than most of its competition. Most drivers will find the small 1.8-liter, four-cylinder engine to more than adequate. However, performance enthusiasts should upgrade to the more powerful 2.0L GDI engine. The potent engine can generate an impressive 173 horsepower. Buyers can choose their Elantra with either a six-speed manual gearbox or a Shiftronic automatic transmission. Even without the use of a hybrid motor, the Elantra is still capable of delivering outstanding fuel efficiency. While the base 1.8-liter engine maintains a fuel economy rating of 38 mpg on the highway, the larger 2.0-liter GDI engine averages 34 mpg on the open road. Luckily, neither engine requires the use of premium fuel. The majority of test drivers have been impressed with the Elantra’s composed handling on the road. The sedan’s lightweight chassis and well-balanced suspension system help to minimize the amount of body roll when cornering. While the base suspension system is calibrated to deliver a soft ride, the optional sports-tuned suspension system gives the Elantra razor-sharp handling in all driving situations. The Elantra’s excellent crash test scores helped it to obtain a five-star safety rating. As a testament to the sedan’s ability to protect its passengers, it was also chosen as a Top Safety Pick by the Insurance Institute for Highway Safety. All models come equipped with disc brakes and electronic stability control. Some of the available safety enhancements include a rear-view camera and Hyundai’s Blue Link emergency response system. Most car shoppers consider the Elantra’s exterior design to be rather attractive. Not only do the LED accents enhance the sedan’s curb appeal, but they also make the car more visible to oncoming traffic. The Sport model’s performance wheels and bold exhaust tip give the sedan an even more aggressive appearance on the road. Every passenger will be able to ride without feeling cramped. In fact, the Elantra provides more legroom than the top-selling Toyota Corolla and the popular Honda Civic. This is a major advantage for the parents who have tall children. When needed, the rear seat can be folded down to expand the available cargo room. Although the Elantra is not considered a luxury sedan, it still offers plenty of technology. Even the base SE model comes equipped with a USB/iPod interface. Drivers who love to take road trips will find the touch-screen navigation system to be extremely useful. Some of the other optional goodies include key-less ignition, Bluetooth phone connectivity, a high-powered audio system, and dual-zone climate control. Drivers who desire a more engaging driving experience will likely choose the Elantra Sport. The Sport model features a stiffer suspension setup, larger wheels, and a sportier steering ratio. The Sport model can easily jet to 60 mph in about 7.2 seconds. This is a very quick performance for an economy car. 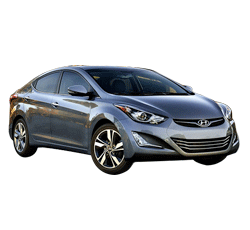 Unlike the Hyundai Elantra of the 1990s, the 2015 model has seen a dramatic improvement in overall quality. J.D. Power actually ranked the Elantra as the best compact sedan in its class. 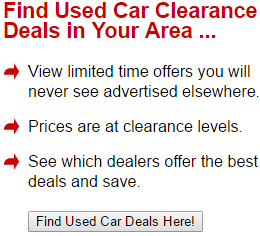 The sedan’s 100,000-mile warranty also helps to give buyers an extra degree of assurance. In terms of interior space, the Elantra trumps the Honda Civic and Toyota Corolla. The Elantra’s base model is also more powerful than the most of its rivals, including the Nissan Sentra and the Subaru Impreza. Although the high-performance Honda Civic Si and the Dodge Dart GT offer more performance under the hood, the Elantra Sport delivers better gas mileage. The 2015 Elantra is only available with a front-wheel drive platform. While the sedan performs great in wet weather, heavy snow may present a problem. Cars such as the Subaru Legacy are available with an all-wheel drive system. As of now, the Elantra does not currently offer a blind-spot monitoring system. Drivers who desire this advanced safety feature will have to upgrade to the more expensive Hyundai Sonata. Luckily, the Elantra does come equipped with a new blind-spot rear-view mirror. While the Hyundai’s on-road performance is quite impressive, the sedan cannot match the muscle of a modern six-cylinder engine. Drivers who desire a V-6 engine will likely need to choose a mid-size sedan. Designed with a high-quality interior, the 2015 Elantra is viewed as one of the best values on the road. Although there are other viable options on the market, very few bring as much to the table as the Elantra. The top-of-the-line trims deliver a lively performance without sacrificing fuel economy or ride quality.